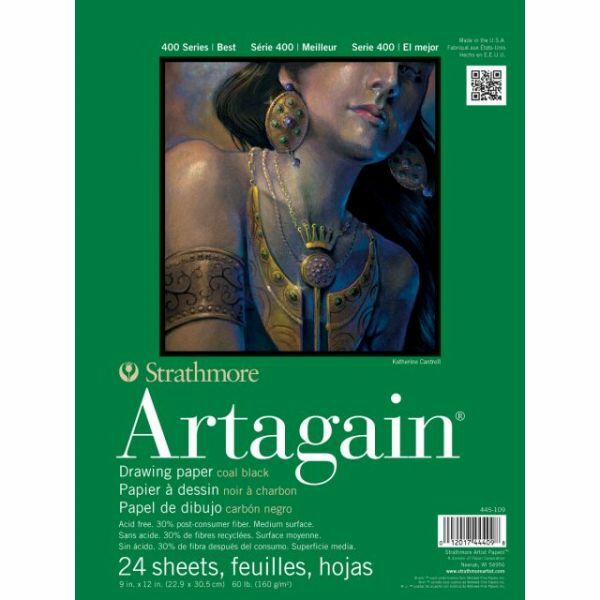 Strathmore Acid Free Artagain Paper Pad - Strathmore-Black Artagain Paper Pad. 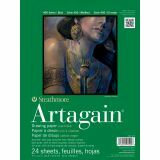 A drawing paper made of 30% post-consumer fiber ideal for mastering multiple media techniques. This package contains one 12x9 inch Artagain pad with twenty-four sheets of 60lb acid free coal black papers. Made in USA.